With all of today’s electronic devices, your house and car are probably filled with a number of wires. Wireless chargers are becoming a popular solution to eliminating tangles of cords. For your car, the ENEGARM Wireless Car Charger powers up your phone and allows you to drive safely. The charger is now on sale for 30% off the original price. Your phone can help you navigate to your destination and contact people in an emergency. 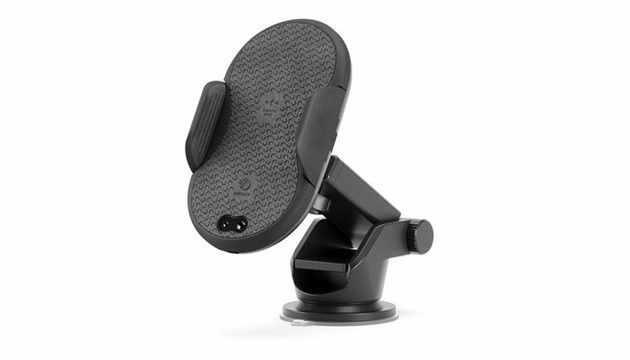 The ENEGARM Wireless Car Charger also includes a dashboard mount for hands-free use. The charger is compatible with both Androids and iPhones. The 360-degree stand allows you to rotate your phone in any direction you need. The ENEGARM has been reduced from $49.99 to $34.99.